Includes 7-1/4" Tilt-Lok Circular Saw w/ Case - 6390-81, Carrying Case - 48-55-9166, Circular Saw Blade, Hex Blade Wrench, Product Manual. 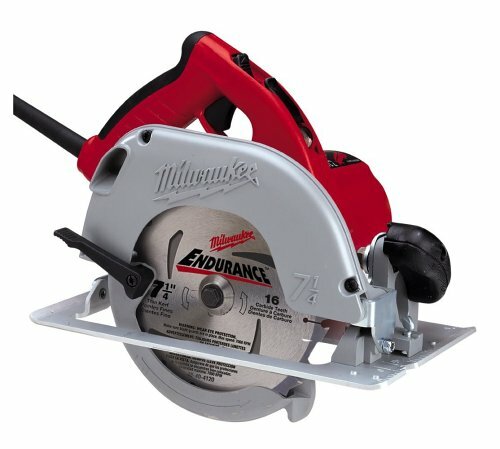 Outstanding value compared to other products with such robust specs as 7 ¼" blade and 3 ¼ HP. I didn't feed it anything overly massive - standard 2x4 pine, oak, some plywood and mdf - which didn't even give it a pause. The cuts were clean - which was not expected with the standard blade. Repeated use was not laborious with the overall light weight and handle design. Well balanced and everything in the right place - this from a history of B&D and Dewalt loyalty and use. Biggest job change was a bit more safety and attention required with the lack of electric break. Five stars because it does everything I asked of it. I don't need to mention the quality and reliability of Milwaukee products. It goes without saying. But I want to mention the unbelievable service. I was given this reconditioned saw a few weeks ago as a gift. It was in near mint condition with all of the accessories, case, and blade intact. I noticed that there was a fdeep scratch in the shoe, so I called the service number for advice about either grinding it out or getting a replacement. To make a long story short, they immediately sent me a replacement shoe UPS no questions asked. 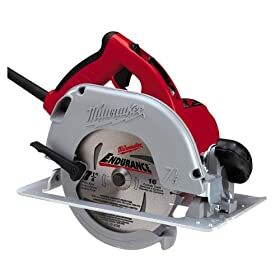 Whereas some companies would have made me bring the saw back for this minor glitch, Milwaukee stepped up to the plate and got the issue resolved in the most expeditious manner possible. Based on this treatment, I will not hesitate to purchase Milwaukee products in the future. By the way, the thing works perfectly, and the tilt-lok feature is incredibly handy- I'm left handed and any leverage advantage I can get is much appreciated! This factory reconditioned circular saw works well. Although reconditioned and less than half of the MSRP, I am very happy with this product and would purchase additional reconditioned Milwaukee products. This is the first reconditioned tool for me. The saw looks brand new and works like a charm. I'll definitely consider a reconditioned tool for my next purchase. Very happy with saw and CPO. Shipped fast and like new condition. Only way you can tell it's reconditioned is the sticker on the case. This is an excellent saw with plenty of power. I bought my saw a couple of years before Milwaukee stopped making this saw in the U.S.A. and is now made in China by TTI. The only problem I have with the saw is the adjustable handle sometime get stuck. Other than that my saw has been a very reliable piece of equipment. Highly recommended!! !